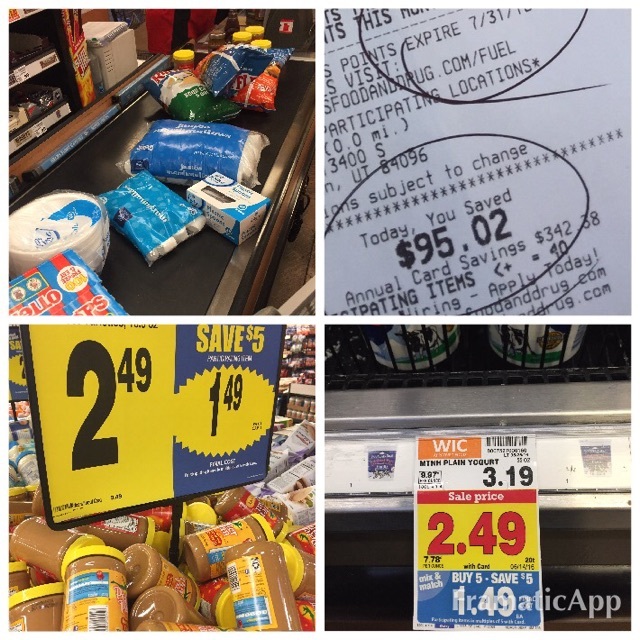 Spent $92 and saved $95 on my grocery shopping trip today–that’s over 50% off! Either way, this is a great week to stock up on some items your family might use on a regular basis. Things like pasta, chips, snack foods, chicken, produce, peanut butter, fishy crackers, marshmallows, Juicy Juice drink boxes, yogurt, eggs, milk, etc. I spent $92 and saved $95! That’s over a 50% savings WITHOUT using coupons or price matching. Knowing what to buy, as well as what not to buy, is what will save you the most at the grocery store. Login to Deals to Meals to help make your grocery shopping experience SIMPLE and FUN–no matter the time of day. I think I am finally ready for bed now that the house full of teenagers are gone 😉 Ahh, peace and quite. That’s a good part of the day, isn’t it? Have a great night! Vitamins-an important part of your food storage!